got this fossil bag on a recent trip to my favorite goodwill for $6. this is the bag i started out with yesterday and kicked to the curb. it did’t really go with what i was wearing – the bag was competing with my orange peep-toe flower me toos. but, today i went understated and busted it back out. i’ve said it before, but it bears repeating: large women can hook up many an outfit with the right accessories. i like the interior – the middle zipper pocket is smaller than the two larger exterior pockets. it all gets grabbed up with double handles, and don’t forget the fossil key. multicolored bags are great to enhance monochromatic outfits, or get wacky and mix prints. i don’t do this too much, when your’e 46 it can look like you’re trying too hard. anyway this is a fun bag that i will use repeatedly. peace out. 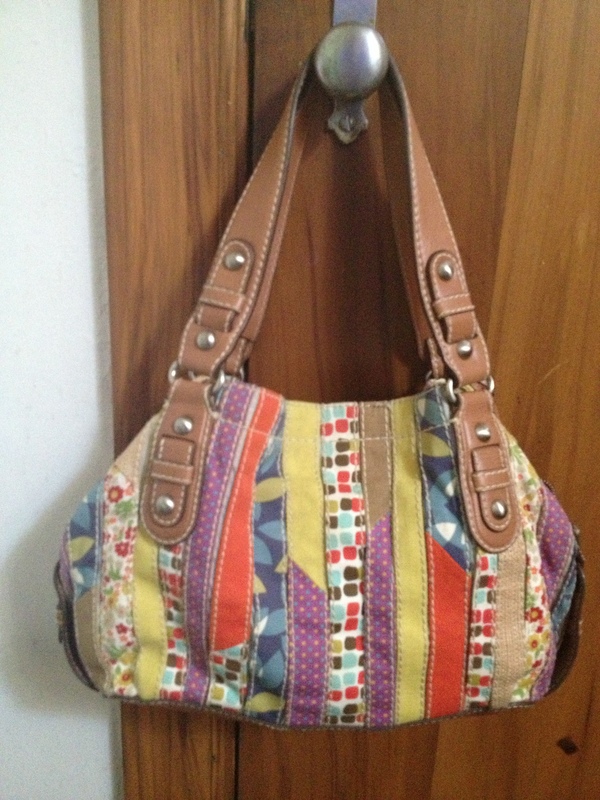 This entry was posted in thrifting and tagged fossil, goodwill, Handbags and Purses, patterned bag, plus-size, Shopping, thrift store, thrifting on May 15, 2013 by miriamgmck.